The Risk analysis report is out. Now it’s your turn to weigh in on Line 5. 41 researchers from 7 Universities and the NOAA lab in Ann Arbor. 6 months of difficult work. 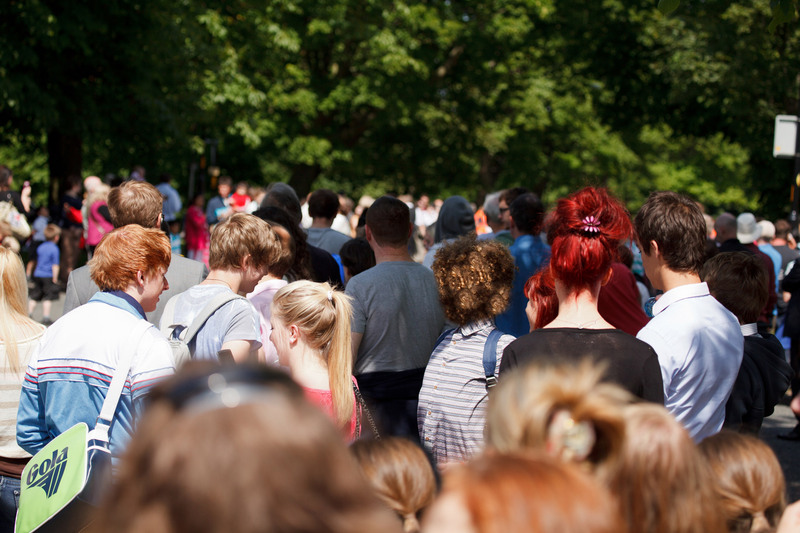 The results of the Independent Line 5 risk analysis report were released last month. 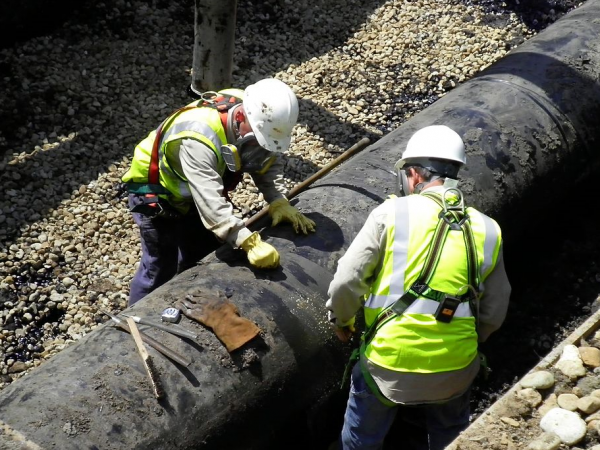 The report was recommended by the Michigan Pipeline Safety Advisory Board and was contracted by the State of Michigan. Monday night, August 13, at Boyne Highlands in Harbor Springs, the public was able to weigh in one-on-one and talk directly with the researchers about the report. Dr. 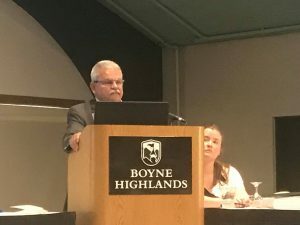 Guy Meadows, Director of the Great Lakes Research Center at Michigan Technological University, presented the results of the 600-plus-page report to the crowd of about 200 people at Boyne Highlands along with several other researchers who helped complete the analysis. Dr. Meadows tells Great Lakes Now the report will be used to assess the future of Line 5. 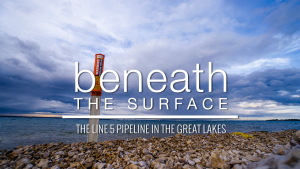 The 65-year old Line 5 Pipeline owned by Enbridge carries 23 million gallons of oil and natural gas liquids across the lake bed underneath the Straits of Mackinac every day. The steel pipeline which is one inch thick was dented in April by a ship’s anchor which accidentally dragged across it, causing damage in three places. One of the most difficult problems, Dr. Meadows says, was the fact that they couldn’t single out one worst-case scenario. The final revised report with public comment will be completed September 15th. The worst-case scenario would spill 60 thousand barrels of oil in the Straits of Mackinac. Direct economic impact: 1.3 billion dollars in losses, with about 500 million in residual losses – a total of almost 2 billion dollars. Dozens of members of the public offered up comments. Many of them said the cost estimate of economic losses from a worst-case scenario oil spill was much too low. Others said people’s property values weren’t valued high enough. 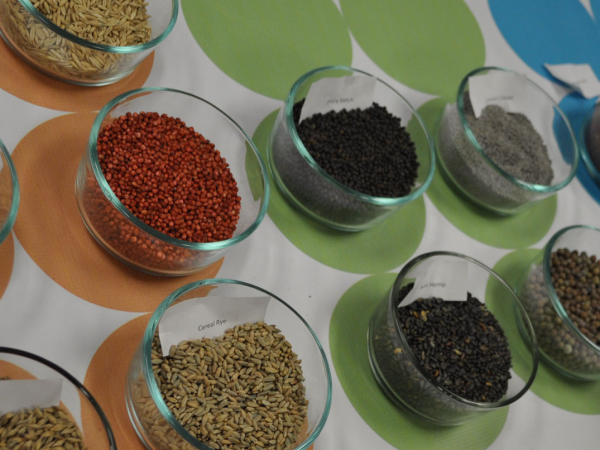 Still others said the damage to wildlife and human health couldn’t be quantified. 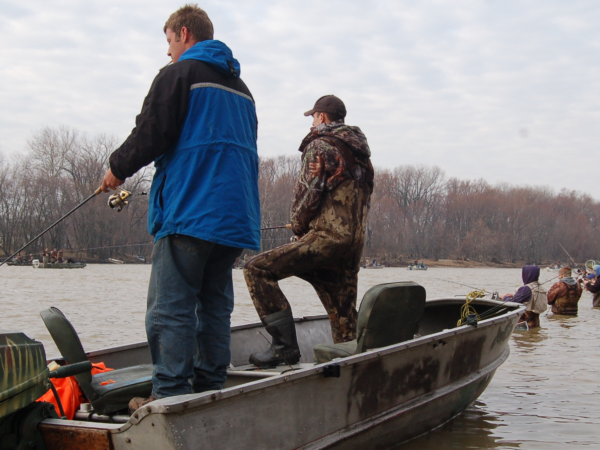 The National Wildlife Federation’s Drew Youngdyke questioned the assumption of Enbridge’s immediate reaction time to a spill as listed in the report, since it took Enbridge 17 hours to respond to a spill in the Kalamazoo River in 2010. 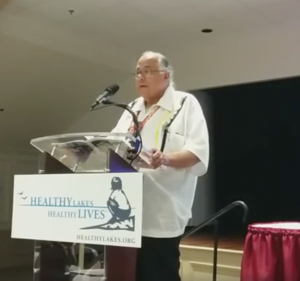 Frank Ettawageshik with the United Tribes of Michigan said people in Alaska are still overturning stones near the 1989 Exxon Valdez spill that are covered in oil. He questioned how researchers defined the words “clean-up” when they said a worst scenario spill could be cleaned up from a Line 5 spill in just two years. The independent risk analysis report, which is still considered to be in draft form, cost $749,0110.00. It was paid out of a state escrow fund that was financed by Enbridge. To look at the report and make comments on the risk analysis, go to mipetroleumpipelines.com. We need to ask ourselves…if the 65-years old Line 5 Oil Pipeline was NOT in place at this time in 2018, where we know more information about the catastophic damages to natural wildlife, waters, and tribal values since 1953 where damages could occur, by man-made or natural occurences, and if a foreign oil company came to the people of the State of Michigan to request to place an oil pipeline through our state and through our Straits of Mackinac waters TODAY, would we allow it? I think not. 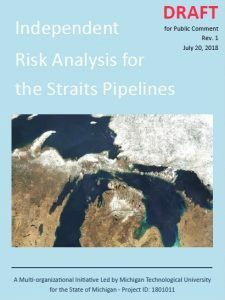 With the new Risk Anaylysis Research Report created by a panel of experts in our state and beyond, about the consequences, should an oil spill occur, CONFIRMS serious concerns to our beautiful Great Lakes and to the property owners and tribal nations in our state. We need to REMOVE LINE 5 Oil pipelines and deter any other commericial interests who may also want to place oil pipelines through our beatiful state and great lakes regions in the future. Allowing Enbridge to continue, opens the door and waterways to other future companies if we dont decommision Line 5 now! Thank you.